Talk about some wacky weather! A tornado damaged farm buildings in southeast Nebraska near the Kansas border. 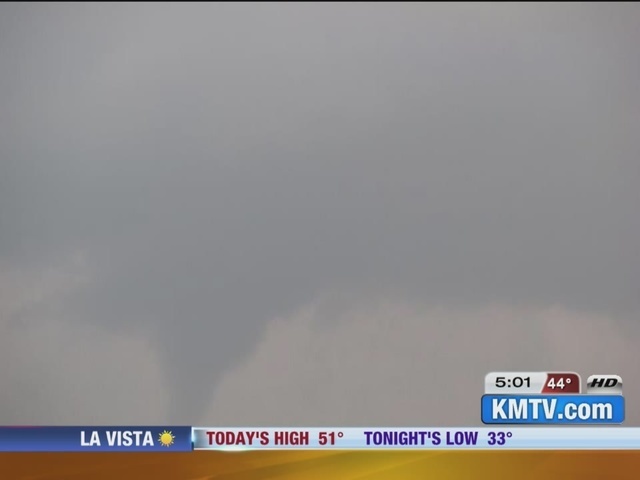 The National Weather Service says the tornado was reported around 4:30 p.m. Sunday near Red Cloud and Lawrence, which are south of Hastings near the Kansas border. The storm knocked over a farm outbuilding and several center-pivot irrigation systems, but didn't damage the home. The storm caused minor damage in the area and knocked down some power lines.